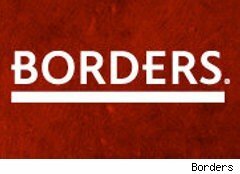 Borders has a few hot Cyber Monday deals going on, including a Borders coupon for 50% off the list price of 100,000 books. Usually, the best Borders coupons are for 33% or 40% off books, so this is an exceptionally high value coupon. No coupon code is needed, but look for the discounted price in red. Ends Nov. 29, 2010. A nice selection of TV on DVD is on sale for up to 50% off, including Brothers and Sisters, Greek and Ugly Betty. Spend $20 or more for free shipping through today, Nov. 29, 2010. Or, ship the books to a Borders, Borders Express or Waldenbooks for free shipping. If you buy a $50 gift card, you'll get a $10 bonus. Remember to shop through eBates for an extra 8% back on your total purchase.